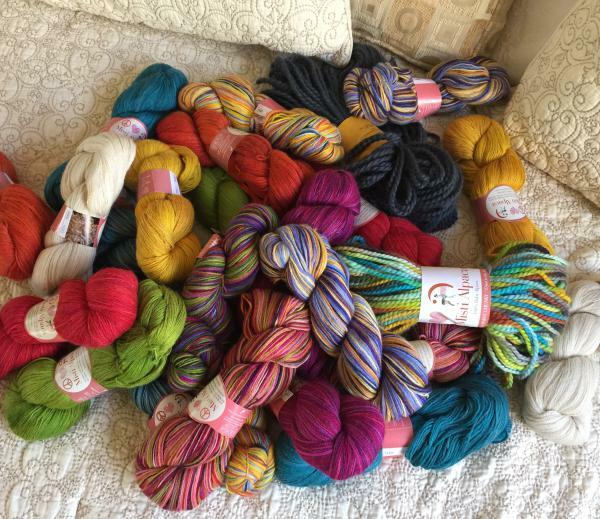 Soooo, the other day I got a box of yarn via snail mail. Yeeey. (There is never enough of yarn for a serious knitter). This yarn is from a company called "Misti Alpaca." 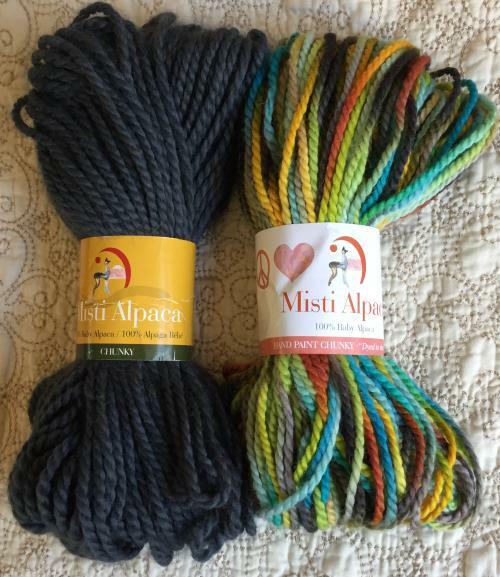 Misti Alpaca Yarn is produced in Peru (which I want to visit.) And let me tell you - it is an incredible yarn. Fabulous! Soft! 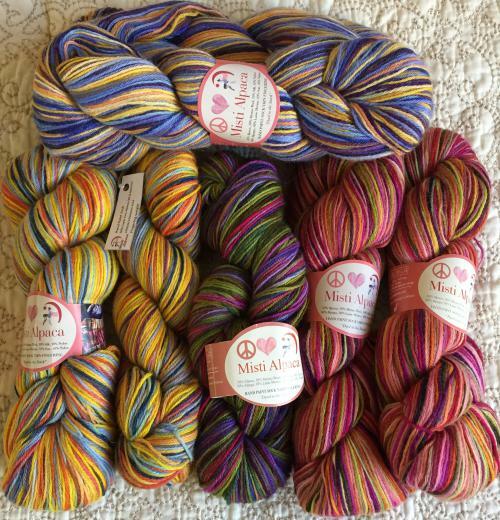 I just found out they will have a promotional sale until May 15th, 2018 - 40% OFF for the lace yarn - if you use promotional code love4lace at the checkout - your price for 100g of Hand Paint Lace will be $15.60 instead of $26. If interested CLICK HERE to get to the shopping cart, pick the color that you like, use the promotional code love4lace when checking out. 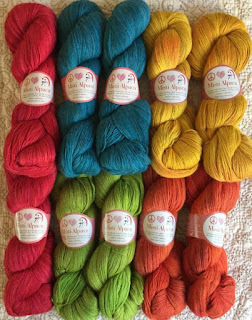 I got few skeins of Tonos Carnaval in several shades (see images below), 2 Chunky Alpaca skeins (incredible softness, I kid you not.) 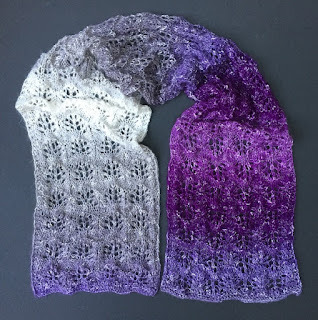 I got few skeins of Hand Paint Lace (very soft, just as the chunky one, because both are 100% baby alpaca), and I got few skeins of Hand Paint Sock (blend of alpaca, merino, silk, and nylon - aaahhhhh). These yarns are the highest quality of yarn that I ever put in my hands. I love the colors, I love the texture and softness and I cannot wait to work with my "lovey-doveys." 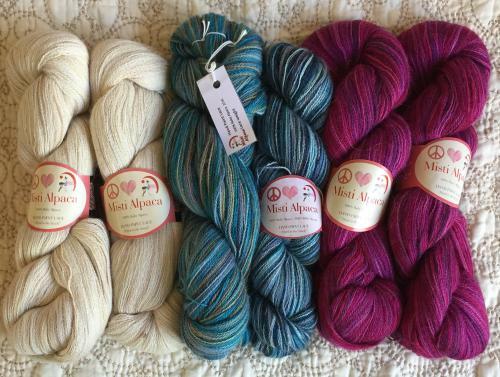 I know you may think they are expensive, but for a couple of dollars more than let's say merino yarn it is worth it. I will be waiting for your input on my YouTube Channel or Facebook or Twitter or Instagram. Peace and Happy Knitting and Crocheting.